Sant Josep de sa Talaia is the largest municipality of the Balearic Island of Ibiza. It can be found in the interior of the island in the south-west, only 15 km from the capital, Eivissa or Ibiza Town. Sant Josep de sa Talaia takes its name from the mountain of Sant Josep, which is the highest in the island with an altitude of 475 metres. It covers an area of 159.38 km2 and has around 22,500 inhabitants. From the coastline, which extends for 80 km, on a clear day you have an amazing view to the neighbouring island of Formentera. 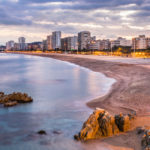 The municipality of Sant Josep de sa Talaia is made up of five small, calm and picturesque villages: Es Cubells, Sant Agusti des Vedrà, Sant Francesc de s’Estany, Sant Jordi de ses Salines and Sant Josep de sa Talaia itself. 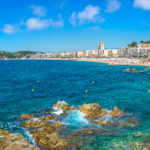 The region of Sant Josep de sa Talaia is bordered by a coastline of 80 km and therefore has more coves and beaches than the rest of the Island. In the south-east of Sant Josep de sa Talaia is Playa d’en Bossa beach, which it shares with the capital, Eivissa or Ibiza Town. To the west we find the bay of Sant Antoni de Portmany. The good quality of these beaches and coves makes Sant Josep de sa Talaia an important attraction for the thousands of tourists who come every year for a peaceful holiday on the beach or in the unspoilt countryside. 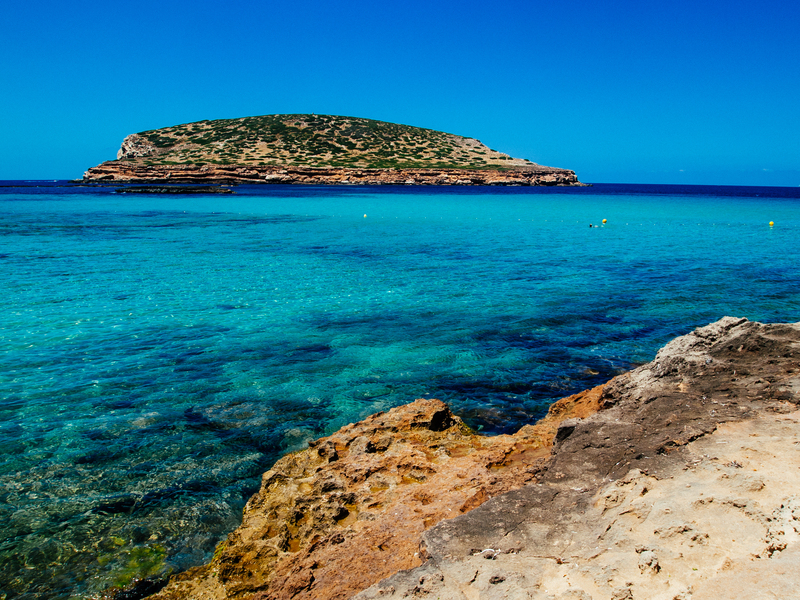 Around these beaches, the best of the Balearics, important tourist resorts have been developed. 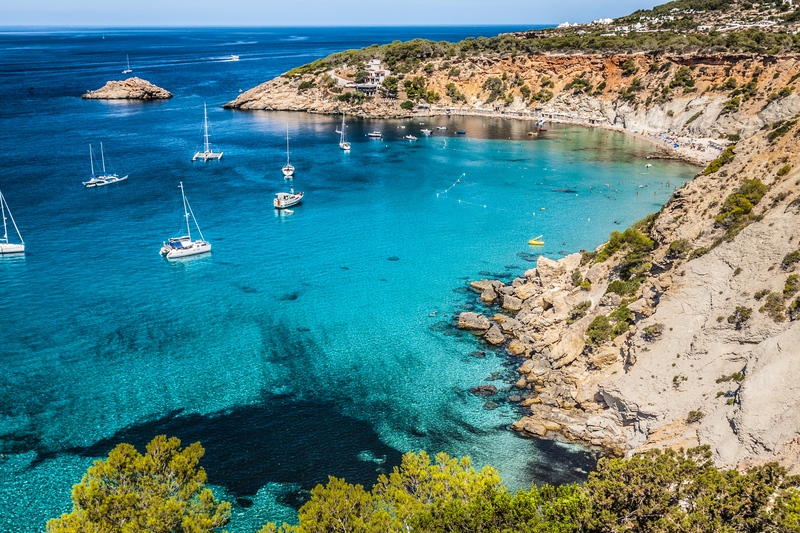 These beaches such as Cala Comte, Cala Bassa and Cala Vadella are renowned for their crystal–clear water surrounded by the pine forests that descend to the level of the sea. 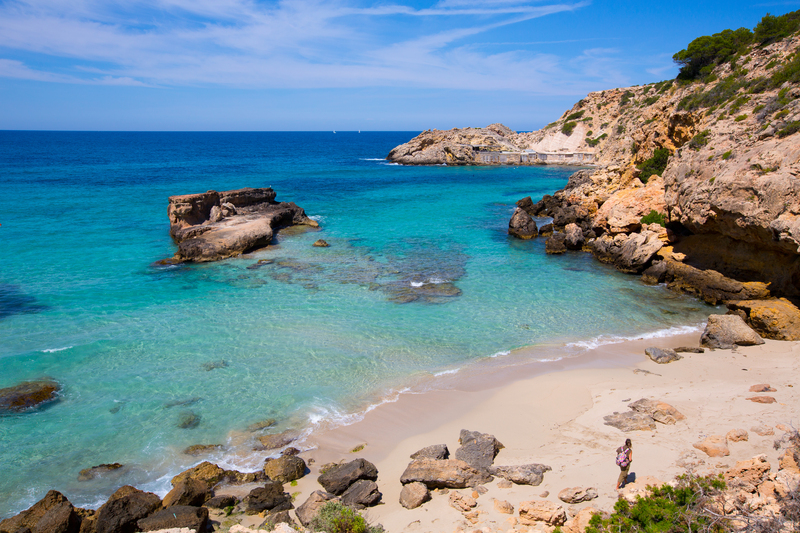 The beautiful coves, Cavallet, Ses Salines, Cala Jondal, Cala D’Hort, Cala Carbo and Cala Tarida, have fortunately remained unspoilt, as have the hidden fishing coves, Porroig, Es Xarcu, Sa Caleta, Cala Llentrisca and Cala Corral. A characteristic of the coastline of Sant Josep de sa Talaia are the steep cliffs and surrounding islands such as Es Vedrà, Es Vedranell, Sa Conillera, S’Esparta, S’Illaden Bosc and Ses Bledes, which dominate the horizon. The coast of Sant Josep de sa Talaia is surprisingly beautiful,especially around the natural park of Ses Salines and the nature reserve of Es Vedrà and Es Vedranell. The remaining islets that make up this cluster are the Islotes Poniente, situated at the western point of Ibiza. There is plenty to see and discover in Sant Josep de sa Talaia. Nature lovers and culture seekers will enjoy hiking in the region. You can go by car, but we strongly recommend either cycling, walking or horse riding for full appreciation. Sant Josep de sa Talaia is the highest densely forested part of the island. The summit is at 475 metres altitude, and is in the centre of the region near Cala Tarida. Start your walk in the centre of Sant Josep de sa Talaia and cross the pine forests. On the way, you will pass several houses that are characteristic of the island of Ibiza. 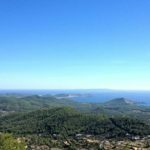 At the top of the hill you will be rewarded with a sensational view over the sea and the scenery surrounding Sant Josep de sa Talaia. At Cala d’Hort, 10 kilometres from Sant Josep de sa Talaia, you can visit some important archaeological ruins. The Phoenician village of Sa Caleta dates from the 7th century BC and has been classed as a UNESCO World Heritage Site. You will also find here the ruins of the Punic-Roman colony of Ses Paisses, an important ancient cemetery. The different parishes of Sant Josep de sa Talaia are picturesque villages each with their own attractions. The impressive mediaeval churches date back from between the 16th and the 18th century and are well worth a visit. We would also like to include the Ball Pagés folk dance group in the list of sights worth seeing. Not only for the dance itself, but the costumes and jewellery are spectacular. No matter where you are staying, a visit to the magical nature reserves should not be missed during your stay in Sant Josep de sa Talaia. You will discover many watchtowers (originally built for defending against pirates) such as En Rovina, Platges de Comte and Carregador Ses Salines. The Es Savinar tower, built in 1763, is situated on the Punta de Oliva facing the islets of Es Vedrà and Es Vedranell. This is roughly 20 km from Sant Josep de sa Talaia and can be reached from the village of Es Cubells. If the weather is fine, you will have a magnificent view over the whole coastline and as far as the Spanish mainland. The islets of Es Vedrà and Es Vedranell are on the west coast of Sant Josep de sa Talaia and can be reached from Es Cubells, 20 km south of the centre of Sant Josep de sa Talaia. These islets rise up approximately 200 metres above the sea level and offer a stunning view over the island. Don’t forget to include a visit to the natural caverns of Cova Santa in your holiday agenda. These can be found on the road between Sant Josep de sa Talaia and Ibiza Airport. 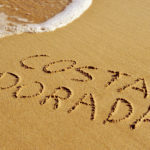 Are you looking for a sunny holiday in a beautiful unspoilt region? Then Sant Josep de sa Talaia is the best choice for you! Reserve your holiday home now at Club Villamar. Find your luxury villa for an unforgettable holiday here.